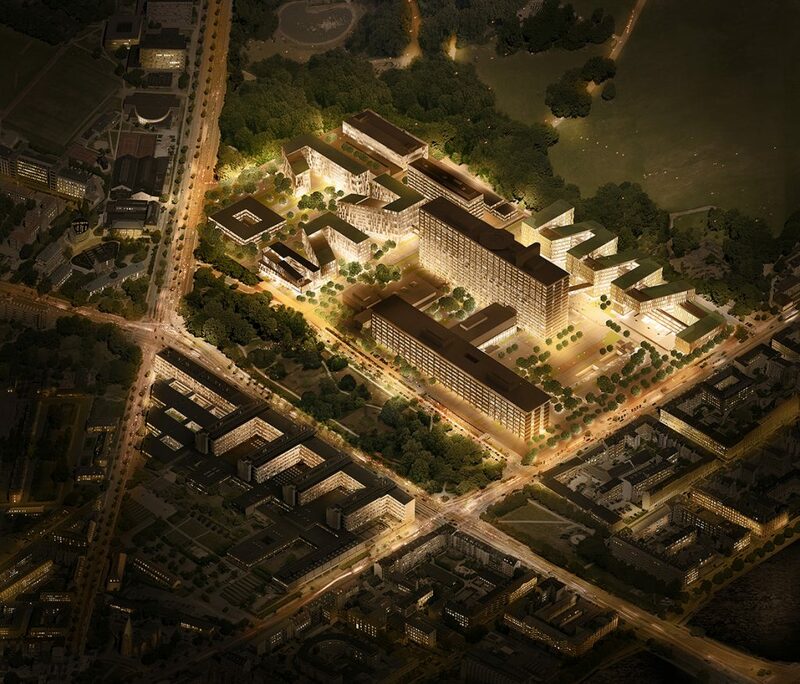 As part of a team with the Danish firms 3XN Architekten, Aarhus Architekten, Grontmij, and Kristine Jensen Studio, we won the competition to extend Copenhagen’s well-known Rigshospitalet. Located in the city centre, it is one of the country’s biggest hospitals and medical research centres, and a key location for the people of the city. 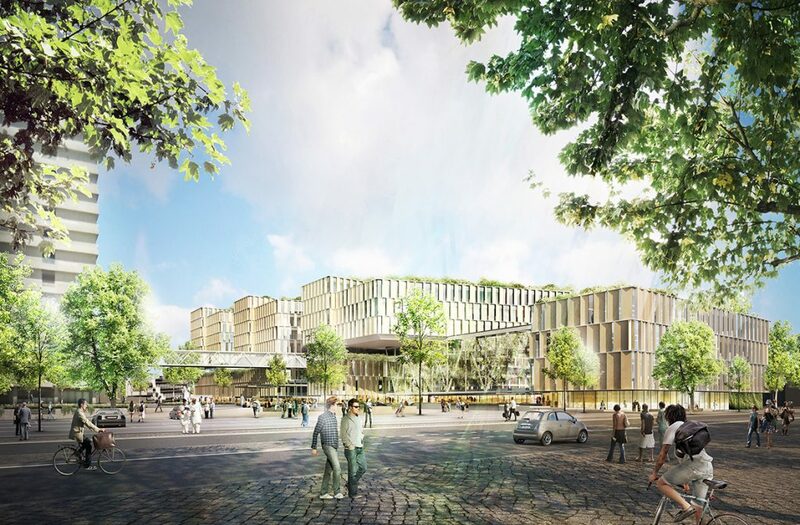 The main structures dated from the 1970s, and could not be expanded, so we designed a building to house the clinical departments, patient hotel, administration department and multi-storey car park. To make the best possible use of space, a zigzag structure was used to interweave the building with the existing hospital and adjoining park. This allows all rooms to be naturally lit, and ensures that all patient rooms are used on a single occupancy basis. 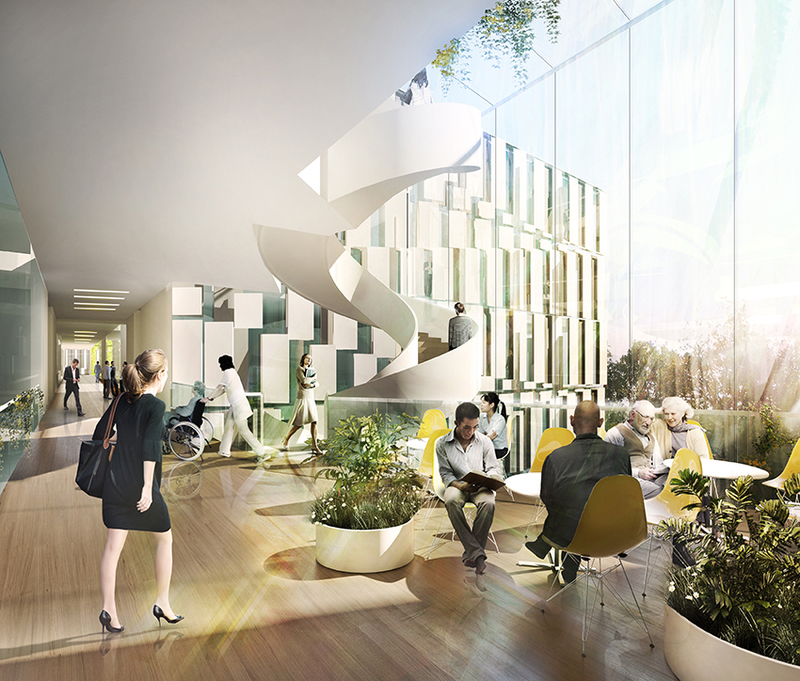 The building has a full-length hallway that opens out into atrium and lounge areas and has views of the outside, creating a visual symbiosis between the hospital and the city.